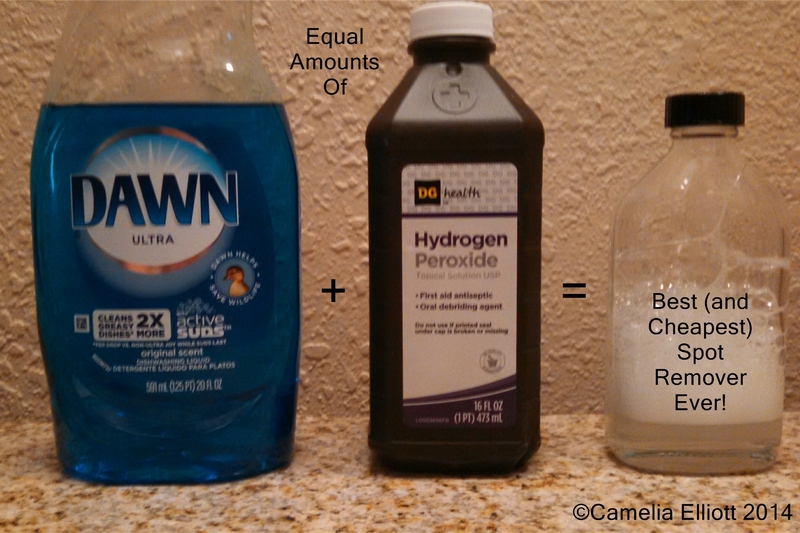 Did you know that mixing equal amounts of Dawn Ultra Dishingwashing Liquid™ and Hydrogen Peroxide are the best and cheapest spot remover ever? It has to be the original blue Dawn—the first one that came on the market. I have been using this spot remover for over 30 years and it is the best thing I have found. Some people wonder about the hydrogen peroxide bleaching or spotting their clothes but this has never happened to me in over three decades. The only thing it does not remove is ink and hair spray will remove ink. Many years ago, it even removed red jello from my toddling daughter’s dress!